This cool looking movie, THE AWAKENING just scored itself a new quad poster and wil hit UK theaters on November 11th. 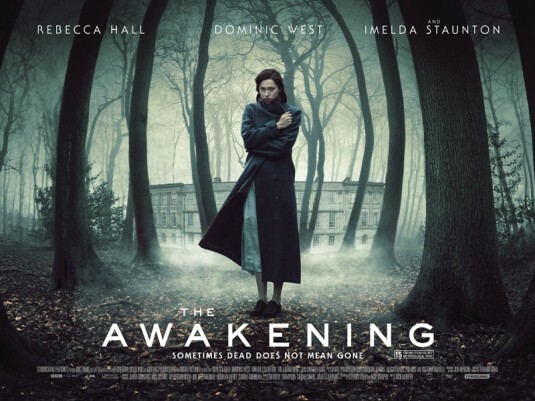 Starring Dominic West (The Wire, 300), Rebecca Hall (The Town) and Oscar®-nominee Imelda Staunton (Vera Drake), THE AWAKENING is the chilling new supernatural thriller from Nick Murphy, set for release on 11 November 2011. In post-World War I England in 1921, an author and paranormal sceptic (Hall) is invited to a countryside boarding school by the history master (West) to investigate rumours of an apparent haunting. But just when she thinks she has debunked the ghost theory, she has a chilling encounter which makes her question all her rational beliefs.